Aaron Hernandez's lawyer says the former New England Patriots tight end's brain showed severe signs of the degenerative brain disease chronic traumatic encephalopathy. BOSTON (AP) — Aaron Hernandez's lawyer says the former New England Patriots tight end's brain showed severe signs of the degenerative brain disease chronic traumatic encephalopathy. In a news conference at his offices, attorney Jose Baez says testing showed that Hernandez had a severe case of the disease. CTE can be caused by repeated head trauma and leads to symptoms like violent mood swings, depression and other cognitive difficulties. Hernandez killed himself in April in the jail cell where he was serving a life-without-parole sentence for a 2013 murder. His death came just hours before the Patriots visited the White House to celebrate their latest Super Bowl victory. CTE can only be diagnosed in an autopsy. A recent study found evidence of the disease in 110 of 111 former NFL players whose brains were examined. 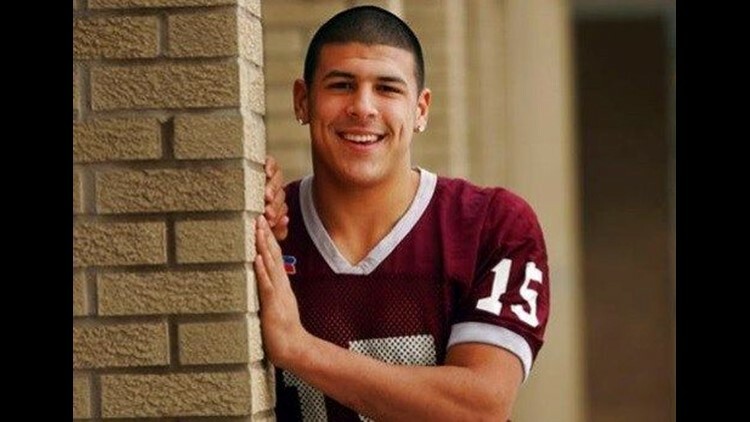 A week before his suicide, Hernandez was acquitted in the 2012 drive-by shootings of two men in Boston. Prosecutors had argued that Hernandez gunned the two men down after one accidentally spilled a drink on him in a nightclub, and then got a tattoo of a handgun and the words "God Forgives" to commemorate the crime.